The “good old days” when most people grew much of their own food, even canning and drying a lot of it for the winter months, are gone. The times when local independent grocers bought fresh local produce from local producers have given way to large food store franchises that serve the predominantly urban populations of today’s western world with one stop shopping. The system works pretty well. In a society where both parents often work at outside jobs, shop for food once a week or less, eat out a lot and, when at home, eat a lot of pre-prepared foods, shopping for farm fresh, seasonal fruits and vegetables is difficult to get on their agenda. Today’s system of providing an almost unlimited variety of perishable fruit and vegetable commodities on a year ‘round basis, and at low prices, is impressive. But it does come with some costs, both to society and to consumers. The system drives efficiency of production often involving consolidation of family farms into larger corporate entities, increasing crop monoculture with its associated vulnerability to diseases and insect pests and, in North America at least, a shift to almost exclusive use of herbicideresistant genetically modified cultivars of the major food staples such as corn, soybeans, wheat, and canola. This shift has resulted in greatly increased use of a single herbicide for weed control on these staples, and as a result, selection for herbicide tolerant weeds on vast acreages of Canadian and American farmland. 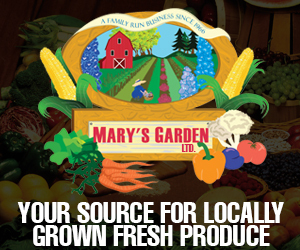 Year ‘round availability of fresh fruits and vegetables also comes with a cost. Market competition among the food store franchises is intense. As a consequence, average farm gate prices for these products often barely equal the actual costs of production for even the most efficient producers. Striving for efficiency often drives production to less expensive land far from cities, or to offshore countries with cheaper labour. The distance between areas of cost-sensitive production and markets, and satisfying the demand for year ‘round availability, dictates that perishable products must be harvested in bulk, transported to local packinghouses where they are graded and stored, sometimes for more than a year until needed. Commodity fruits and vegetables are then transported from packing houses to local franchise distribution centres, and from distribution centres to the receiving areas of individual food stores. Eventually the products show up in retail displays where they are considered by customers, sometimes for several days, until purchased or discarded. These demands placed on perishable fruit and vegetable commodities mean that attributes of “shelf life” and “appearance” rank ahead of “flavour” in the breeding and development of commercial varieties. These are the reasons why you’ll rarely, if ever, find a Gravenstein apple, or a tomato that tastes like a tomato used to taste, in a supermarket. Farm direct marketers live in a different world. They produce a variety of agricultural products, usually on high-priced land near the urban centers where they market their products. Successful farm direct marketers choose high quality varieties, harvest frequently, and at the peak of ripeness or maturity. The products are in storage for as little time as possible so that their customers receive “field-fresh” products. Their businesses and their markets are usually seasonal, and their success depends on their customers’ satisfaction and excitement with both the product and the experience at the farm. While shelf life and appearance are important considerations, farm direct marketers place flavour and freshness at the top of the list of the criteria they use in selecting the varieties offered for sale. Farm direct marketers get to know their customers personally and this increases their concern for quality of product, safe production and handling practices, and customer service. 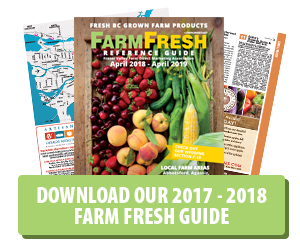 For the members of the Fraser Valley Farm Direct Marketing Association, “farm fresh” is a lot more than two little words!